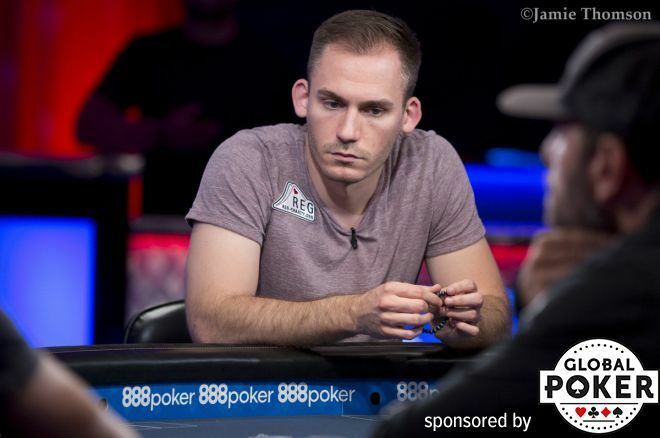 Justin Bonomo has busied himself through the first six months of 2018 putting together arguably the greatest year in the history of tournament poker, and one thing that could absolutely cement that would be a victory in a $1 million tournament. After two days of play, Bonomo has positioned himself for exactly that, as he has bagged a huge chip lead with six players remaining in Event #78: $1 Million Big One for One Drop at the World Series of Poker. Bonomo totes 48.95 million into the final day of play, more than double second-place Fedor Holz's 22.125 million. Bonomo's 2018 has been truly legendary. He already won both Super High Roller Bowl China for $4.8 million and the domestic $300,000 Super High Roller Bowl for $5 million more. He also shipped five other high rollers for varying amounts between $300,000 and $557,000 and found time to sneak over to Rio All-Suite Hotel & Casino and pocket his second bracelet, winning the $10,000 Heads-Up Championship. "I have been on the streak of the lifetime, obviously never expected anything like this." "I have been on the streak of the lifetime, obviously never expected anything like this," he said. "I mean, I think I am a great player, but what I have done is above and beyond what I ever expected or even deserved, to be honest. "Today, I just made a ton of big hands. I didn't have any of those super cooler situations, but I just won small pot after small pot where I had monster hands." Bonomo actually came in below the starting stack, so the three buzzer-beating entries — Rainer Kempe, Brian Rast and Kaverman — began the day with more chips than him. As elites like Mikita Badziakouski, Adrian Mateos and Daniel Negreanu fell on en route to the final table, though, Bonomo stacked up by busting Jason Koon and Matthew Siegal. 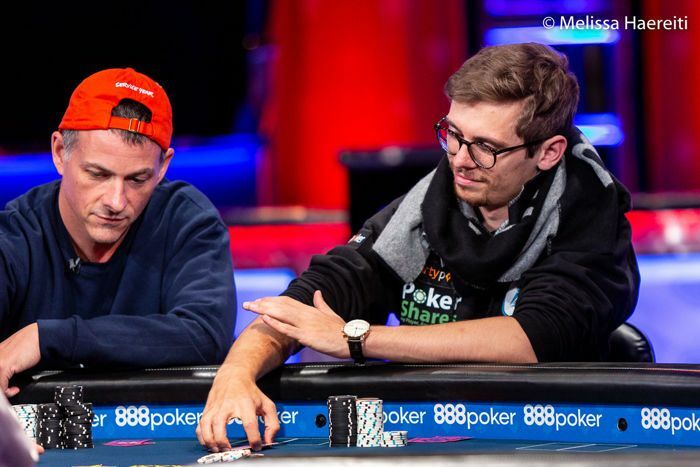 The former ran tens into queens and the latter got unlucky with ace-king against king-jack in a three-bet pot, with Bonomo calling a flop shove after flopping open-ended and binking the ace right away. Bonomo's ace-king then bested the ace-queen of Dominik Nitsche and his kings held against Phil Ivey's ace-jack reshove to send the high-stakes legend out in eighth. 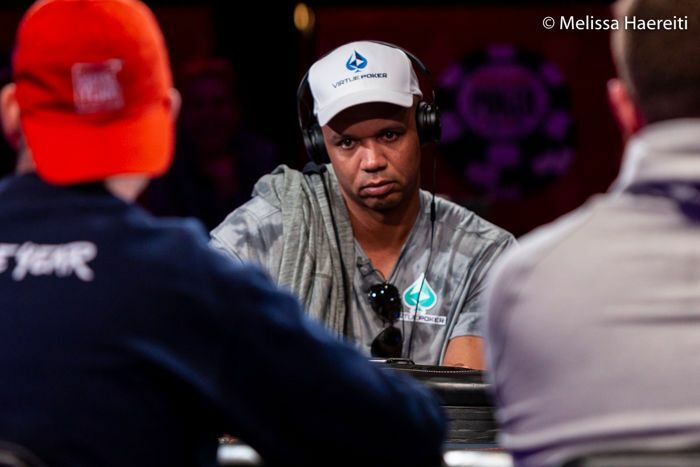 Bonomo sent Ivey packing with kings against ace-jack. Nick Petrangelo was the final player eliminated, when he jammed ace-eight suited on 19 big blinds and ran into Bonomo's nines. While Bonomo acknowledged the massive potential windfall of $10 million is his chief motivation, he said another goal also looms. "One thing I have been thinking about is the all time money list and it would be kind of sweet if I passed Negreanu." Bonomo sits just under $7 million back of Negreanu's record $39.6 million, and a min-cash will push him past Seidel for second place. Still, with nosebleed rivals like Holz and Smith in his way, there's plenty of work to be done. While Bonomo must focus on the task at hand, as he outlined, everyone else in the poker world will be tuning in to see if he can raise the bar once again and reach heights of dominance rarely, if ever, seen. The final day of One Drop, and the final day of the 2018 WSOP, kicks off at 5:30 p.m. local time with just under 26 minutes remaining at 250,000/500,000/500,000. Come back to PokerNews for hand-for-hand coverage of the priciest poker event of the year to see how it all ends.